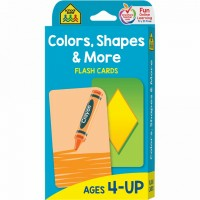 Weather your kids play supermarket, cooking, or shopping, with 1 to 10 Counting Cans activity set by Learning Resources their math skills are bound to skyrocket. 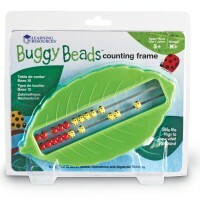 Ready, set, count! 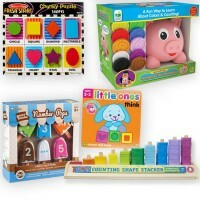 Weather your kids play supermarket, cooking, or shopping, with 1 to 10 Counting Cans Learning Toy by Learning Resources their math skills are bound to skyrocket. 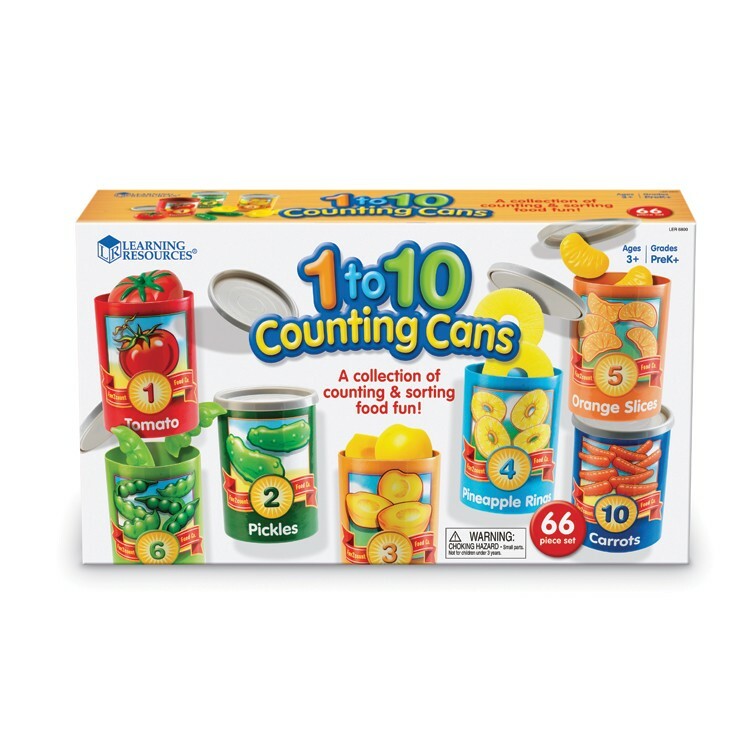 1 to 10 Counting Cans Learning Toy by Learning Resources includes 10 durable cardboard cans with matching lids and 55 bright plastic fruits and vegetables to for sorting into the matching cans. 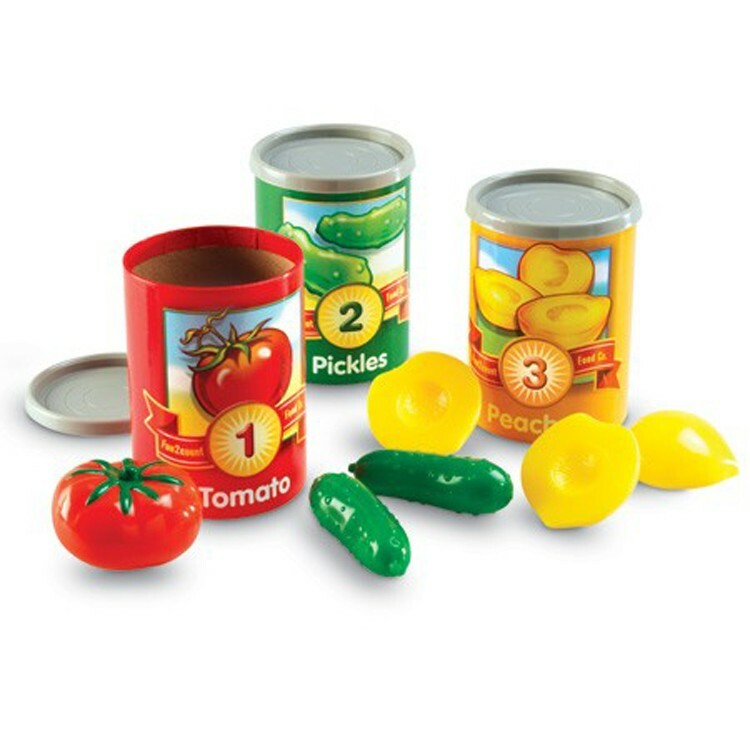 Each of these cute cans measures 3 in diameter and 4.25 in height, and features colorful pictures of fruits or vegetables that should be stored in it. 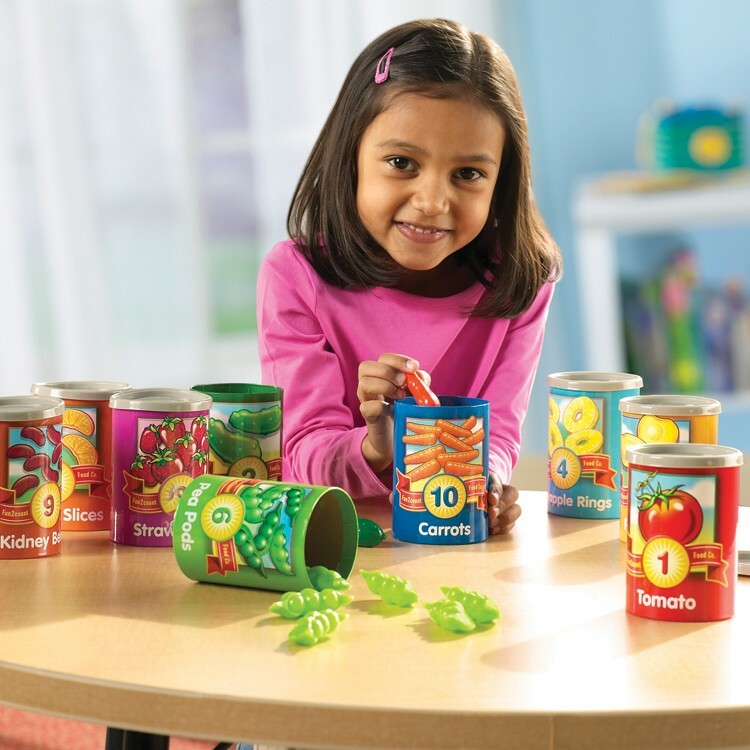 How many carrots are this beautiful can, sweetie? 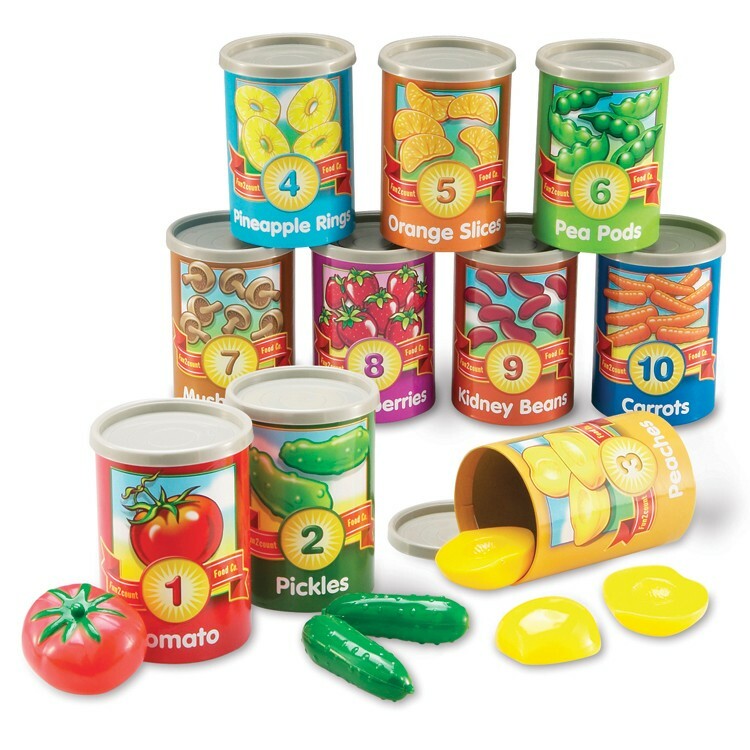 Could you cook 5 peas for mommy? 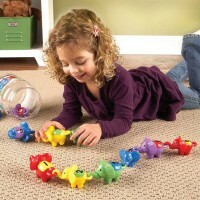 Can this teddy bear have 2 pineapple rings? 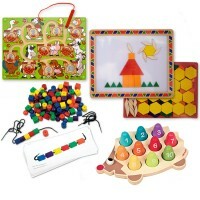 1 to 10 Counting Cans Learning Toy is your terrific find at Educational Toys Planet: it provides a great range of fun and educational activities for all ages. 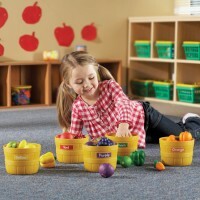 Your little one can enjoy touching, learning, naming each piece of food and sorting it in appropriate container. 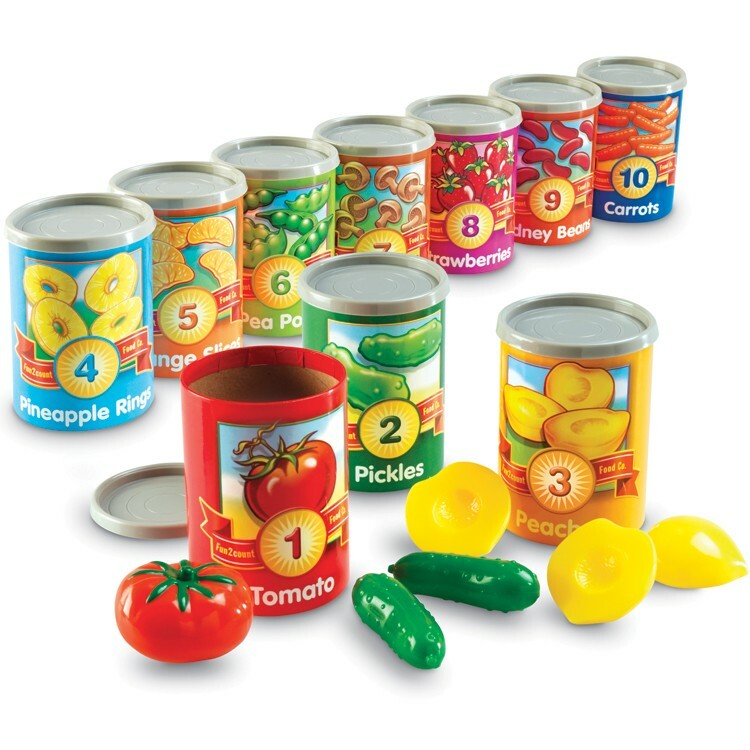 Your preschooler can identify numbers on the can and practice counting. 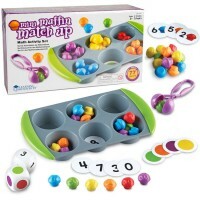 All of your kids (even your older ones), will have tremendous fun coming up with their own ways to explore and lay with this invaluable and cute math tool! 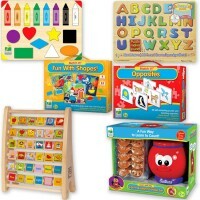 Dimensions of package 9.21" x 17.09" x 3.5"
Write your own review of 1 to 10 Counting Cans Learning Toy. 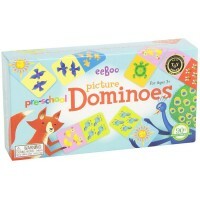 Rating: 5 Lovely colours by Jacqueline, ON Great fun, the foods are in lovely colours and my two year old grandaughter and the four year old played all sorts of games with this game!